The Science Olympiad club at GBHS poses for a group photo. Elizabeth Henderson is the advising teacher for this club. Granite Bay High School is a community made up of students, faculty and organizations. 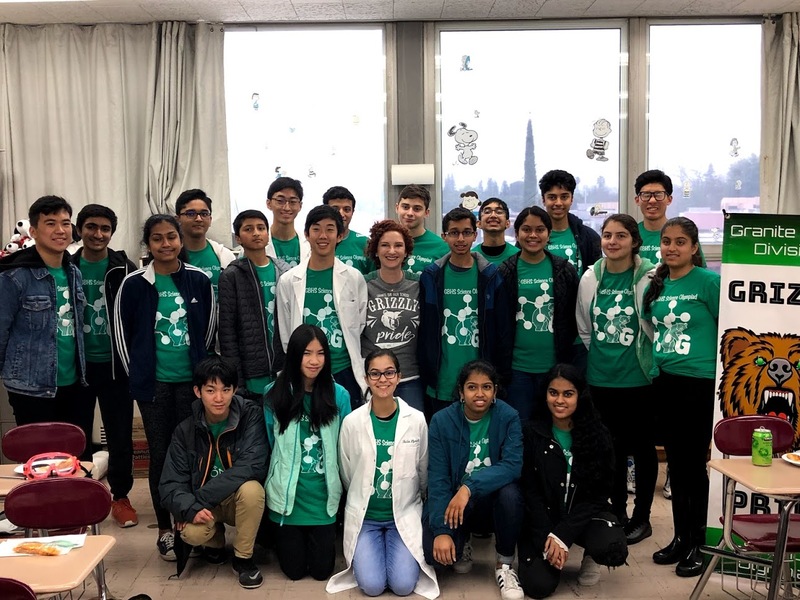 One such organization is Science Olympiad, a local club run by senior Kavana Gonur. Gonur is the current president of Science Olympiad. She shares leadership with vice president Vandana Teki, secretary Julie Lynch and treasurer Noora Elsherif. Gonur started the club during July of her junior year. 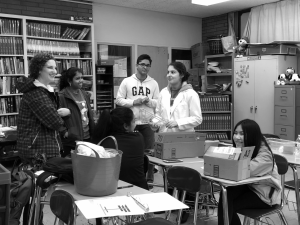 “I really wanted to start a club that would… make a difference in school,” she said. Gonur wanted to create a competitive club, similar to speech and debate. “I wanted to bring something (from a) STEM aspect to the school,” she said. In last year alone, the club made one complete team. “We had just about 15 members,” Gonur said. This year, the club has grown to make up about two teams, with ten to 12 students on each team. Although the current senior knows that the team has a few empty spots, she is happy to see the team grow. “I found (the experience) pretty enlightening, because here I was last year, struggling to even have one team,” Gonur said. Future president Anoushka Mohindra joined Science Olympiad in her freshman year. Since she joined the team, she has noted the increase in membership. “(Last year) we started with one small team going for the first time to regionals and we’ve now grown into two teams,” she said. The current sophomore originally joined the team because she has a passion for science. 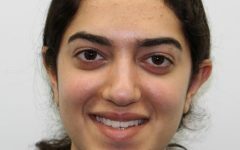 “It gave me a chance to explore more specific fields in depth and also compete in those fields,” she said. Mohindra said that being a member of the team has been very enjoyable and has given her the opportunity to build new friendships. “Everyone is very welcoming and very open,” she said. Gonur, the current president agrees with Mohindra’s description. Both students have plans to continue expanding the club. “I want to (have a) middle school outreach in local schools like Olympus,” Gonur said. Future president Mohindra said that this outreach is designed to bring more experienced students to the club. The club also has advertisement plans to generate interest. “(Our plans include) advertising a lot (and having) an advertisement in the bulletin very soon,” she said. At present, the club draws attention through posters, a booth at club rush, in addition to word of mouth. Another important event for the club is their fundraiser. All of these activities are meant to expand the club, perhaps to the size of speech and debate. Julie Lynch, current secretary of the organization has a goal of two full teams for next year. She said that the club is currently recruiting future members. “Right now we’re working with science teachers to recruit strong students who may be interested in joining for next year,” Lynch said. In addition to increasing recruitment activities, they also plan to begin the process sooner. “We’re also trying to do most of our recruiting earlier- this spring instead of next fall at club rush,” Lynch said. Lynch joined the team because her friend at Mira Loma High School, told her it was a good opportunity. “When Kavana started asking who would be interested in starting a GBHS team, I wanted to join,” she said. Lynch described Science Olympiad competitions in full detail. Although Lynch acknowledged the amount of work and time commitment being a participant requires, she also said that it is very enjoyable. For anyone who is interested in joining the club, meetings take place every Friday from 2:45 to 4:00 pm in room 604.